The winters are harsh here in Canada. Sometimes that makes me think about the birds that overwinter here. Some are more comfortable than others. 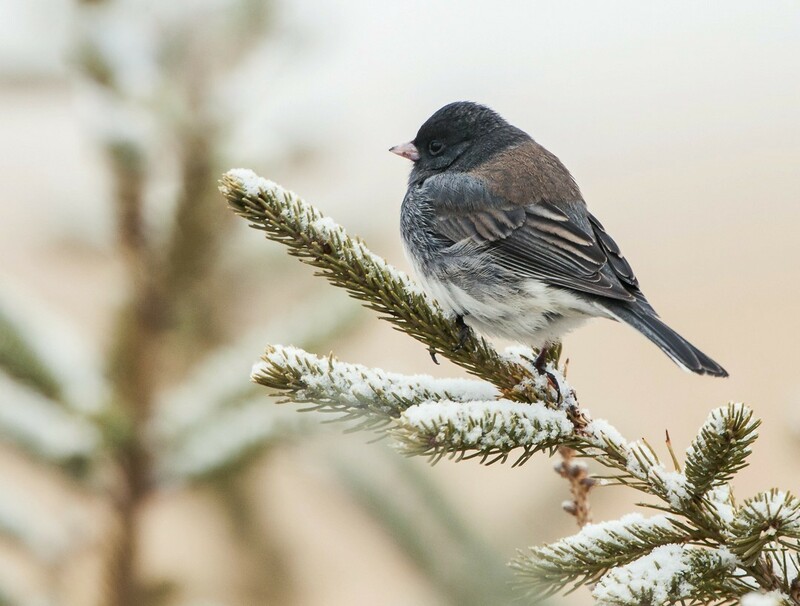 The Junco is suppose to be in warmer climates, but insist on spending the winter here in Canada. The Bohemian Waxwing however seems to be at home here in the winter. The Junco is a ground bird. Whereas the Waxwing is a tree bird. Juncos are more common around bird feeders in the winter. The waxwings go after the frozen berries. The junco seem to be lonely birds with one or two seen at a time. 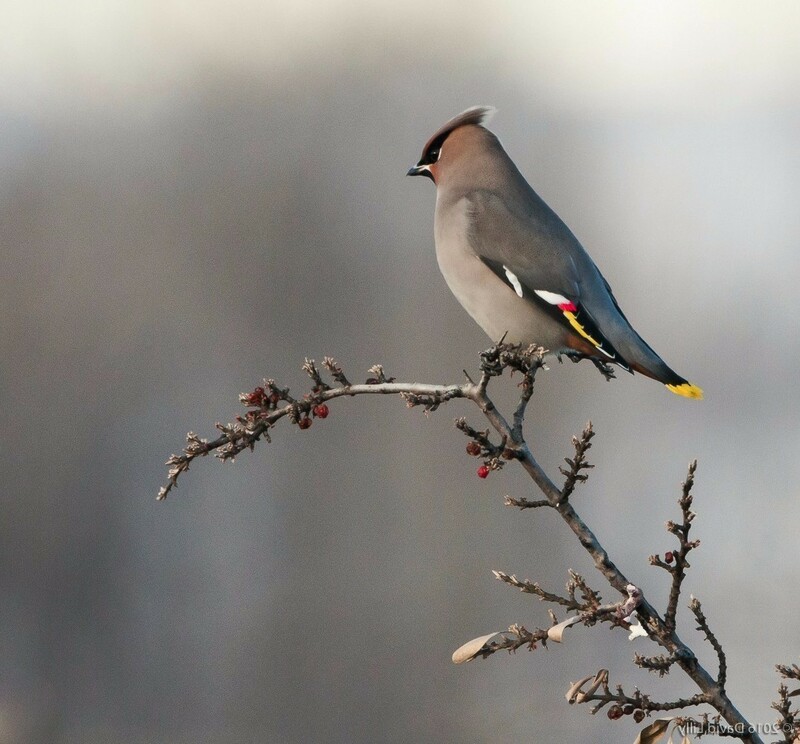 The waxwings are a flock bird. 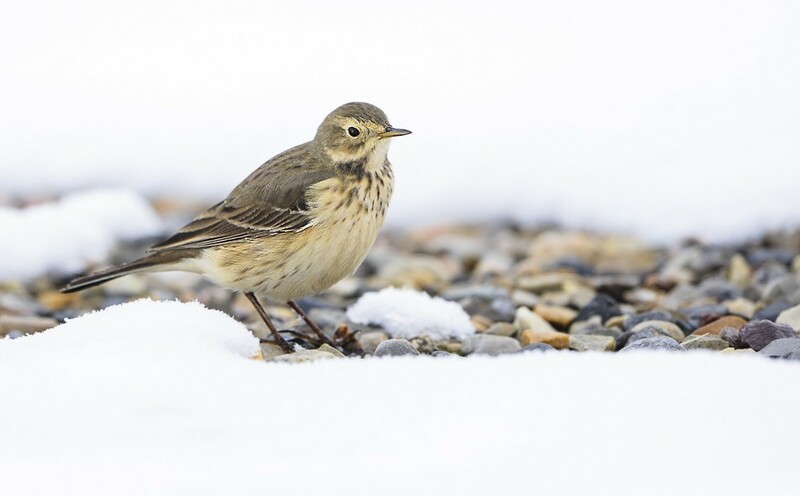 Below is an American Pipit from a couple of winters ago.